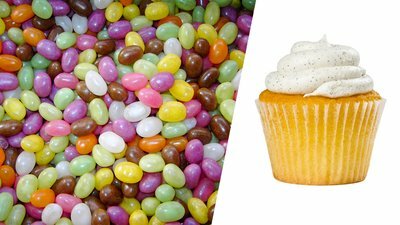 Making Sense Of Sugars: What Is An Added Sugar? Make sense of the sweet stuff and learn what the added extra is all about! Sugar can seem complicated. For one thing, food labels call it by dozens of different names, from sucrose and fructose to evaporated cane juice invert syrup and high-fructose corn syrup. One of the most important distinctions, though, is fairly simple: naturally occurring sugars versus added sugars. It's the difference between consuming your sugar from, say, a package of Ding Dongs (added) rather than an apple (naturally occurring). Repeated over days, months, and years, such dietary decisions may have profound, life-altering health effects. What Is an "Added Sugar?" The Dietary Guidelines for Americans (DGA) are jointly developed and published every five years by the Department of Agriculture (USDA) and Department of Health and Human Services (HHS). Those important guidelines characterize added sugars as "syrups and other caloric sweeteners used as a sweetener in other food products." Note: This definition doesn't include fruit or vegetable juice concentrated from 100 percent fruit juice that is sold to consumers, or the fruit component of fruit spreads. Aside from bolstering the taste of food, adding sugars serves to enhance the color, bulk, and texture of foods. This can serve to extend the shelf life of your favorite snacks. Additionally, sugars can serve an important safety role when they're added to ensure proper fermentation and preservation. The 2015-2020 DGA recommends that less than 10 percent of total calories come from added sugars, so that you can devote the majority of your calories to nutrient-rich foods. But in the average American's diet, 13-17 percent of total calories per day are coming from added sugar, which is an average of 270 calories. Most people are consuming more than they should. Can I Find "Added Sugars" on the Nutrition Label? In May 2016, the FDA unveiled an update to the Nutrition Facts label, which mandates that added sugars must be included on the label (both in grams and percent daily value). By July 26, 2018, all labels must comply with these new standards. Both the DGA and FDA recognize that added sugars can be part of a healthy eating pattern. But added sugars appear in more foods than you think. Beverages account for nearly half of added sugar consumption in the United States. Popular options include soft drinks, fruit drinks, sweetened coffee and tea, energy drinks, alcohol, and flavored waters. Food sources include snacks, treats, baked goods, and processed foods. The inclusion of added sugars on the revised Nutrition Facts label may help people eat a healthier diet by increasing awareness of added sugar content in their favorite foods and beverages. Scientific Report of the 2015 Dietary Guidelines Advisory Committee. (2015). United States Department of Agriculture. Accessed from: https://health.gov/dietaryguidelines/2015-scientific-report/. Retrieved on 9 November 2016. Food Labeling: Revision of the Nutrition and Supplement Facts Labels. (2016). Department of Health and Human Services. Federal Register, 81(103), 33741-33999. Your Guide to the Updated Nutrition Facts Label (2016). International Food Information Council Foundation. Accessed from: http://www.foodinsight.org/nutrition-facts-panel-updated-FDA-michelle-obama-added-sugar. Retrieved on 9 November 2016. Dietary Guidelines Advisory Committee. (2016). Dietary Guidelines for Americans 2015-2020. Government Printing Office.